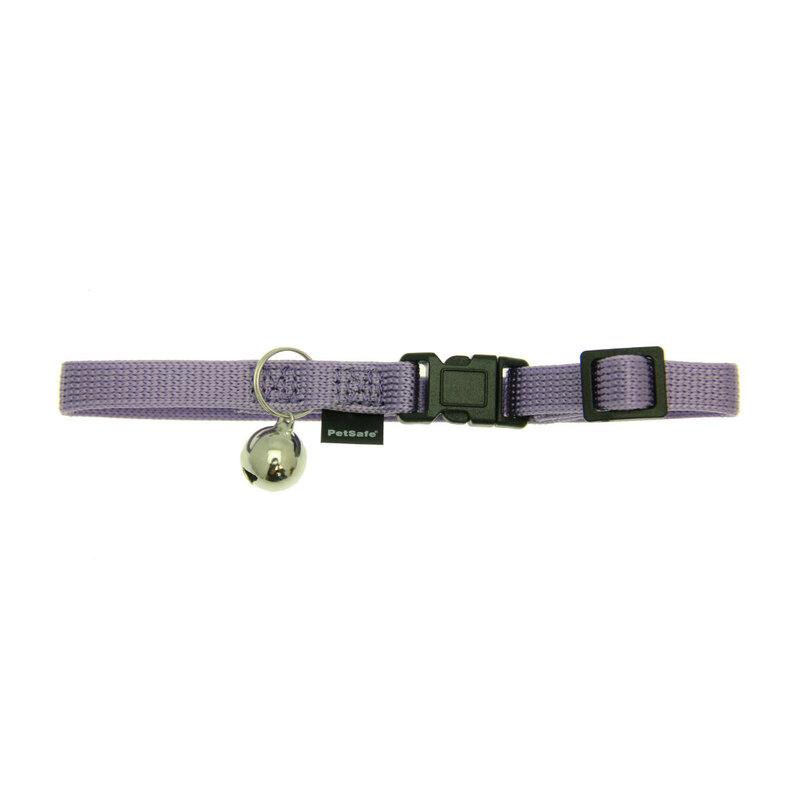 Keep your kitty safe when they are out on the prowl with the PetSafe Kitty Break-Away Cat Collar in Lilac! Your cat will be happy and safe in their PetSafe Kitty Break-Away Cat Collar! The ultimate in safety and comfort for cats. It combines dual safety features of snag proof nylon and a break-away safety snap. Bell attached to warn unsuspecting birds of nearby hunters. Matching Come with Me Kitty Harness and Bungee Leash sold separately. Always a good selection...good prices...good deals...love Baxter Bux too!